Heartbeat Quilting has specialized in high quality, affordable longarm quilting supplies (wholesale and retail) since 2007. We carry batting from Hobbs, The Warm Company and Pellon; Signature, Superior & Glide threads; paper pantograph patterns, longarm quilting books, wide back fabrics and Gammill machine parts and accessories. We offer longarm machine quilting services and rent out our Gammills longarm quilting machines. Around here, we're known for our quick turn around time on machine quilting services and pride ourselves on shipping your orders promptly. We provide a friendly, no-pressure atmosphere, with a knowledgeable, friendly staff that's always on hand to offer exceptional customer service. Click here for store hours. ~ Click here for full shipping & return policies. Hi there! My name is Wanda Jeffries. I began quilting on a Gammill Longarm machine over 24 years ago. In partnership with my mother (Bev Freeman), I started a business in the basement of her house with one machine and found that it was the perfect outlet for my artistic talents. After mom’s passing, I continued to eagerly seek out new quilting techniques and master them one by one. When you drop by the studio, take some time to browse some of my award winning quilts on display. Eventually, I added a second Gammill longarm and set up business in a small 700 sq ft studio and trained an apprentice to use it. 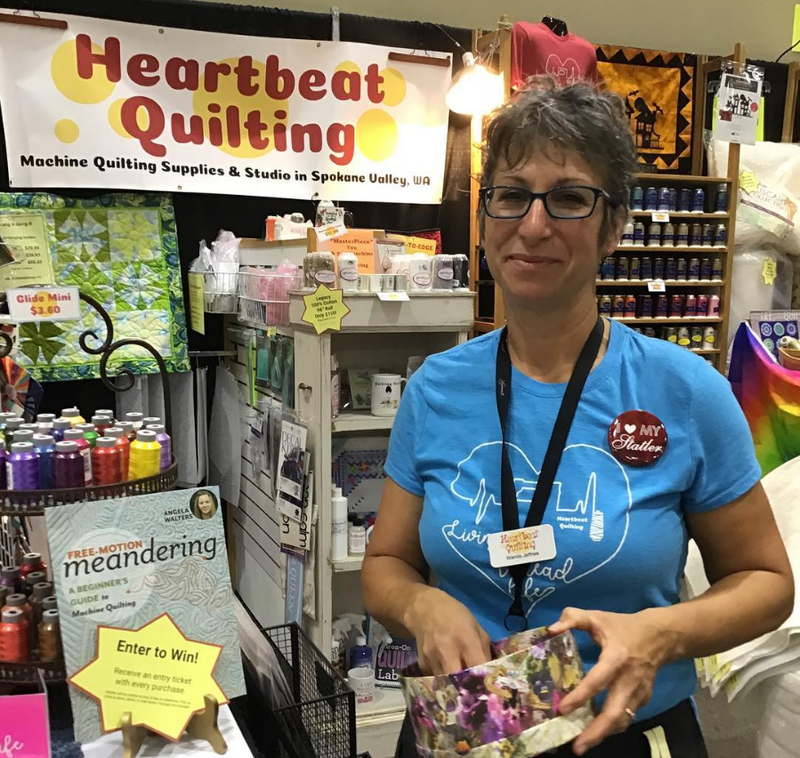 We continued to grow very quickly, and I purchased Heartbeat Quilting in 2007 and completely reinvented it. I have since added product, classes, four more Gammills (including 3 with Statler Stitchers), additional building space and staff to help run it it all. My philosophy is to provide high quality products with budget friendly prices, fast shipping and awesome customer service. Our prices are as close to Wholesale as you will find anywhere! While not all of our customers are longarm quilters, we have plenty of savings to pass along to the domestic sewer as well! Exceptional customer service is our goal here, whether it's for our customers who have us quilt for them, our rental customers, or our machine quilting professionals, we strive to be the best in the business. I am a Gammill Sales Representative dedicated to using my expertise to guide new customers through the purchase of a Gammill longarm quilting machine, offering knowledgeable advice and genuine customer care to help them get the best possible value from their new purchases and rentals, while enhancing their quilting experience. Click here to meet the staff! ~ Click here to meet my machines!